A must have cs-cart add-on. 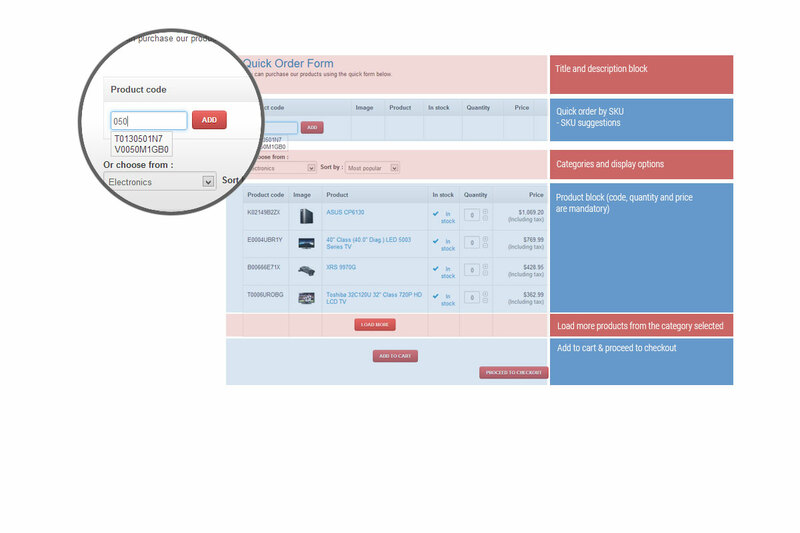 Your customers will be able to purchase any of your products simple and fast using this quick order form. 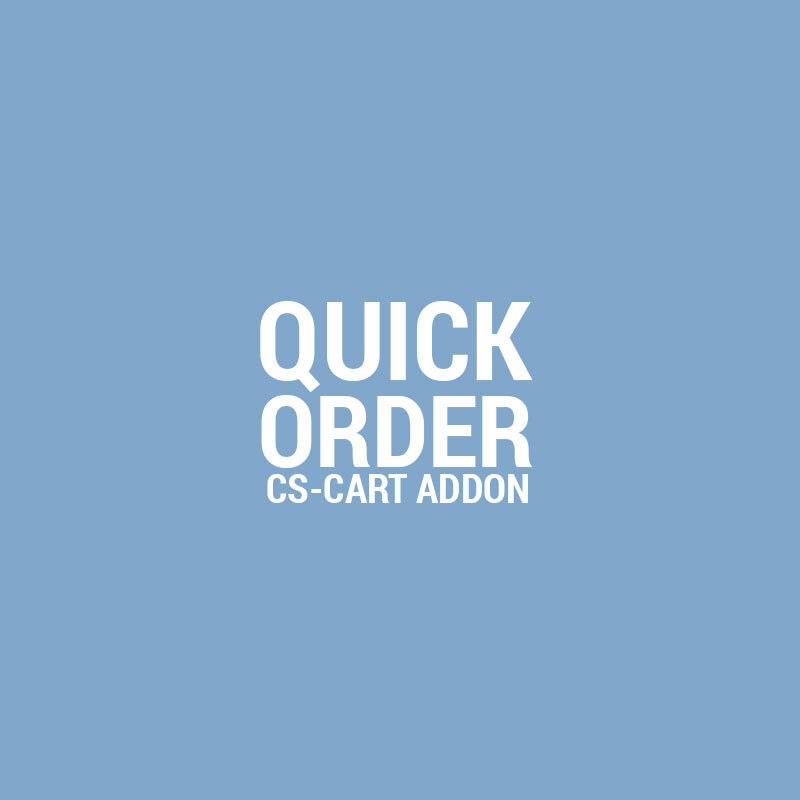 The quick order form can be placed anywhere in your store, using cs-cart blocks. You can display it in a dedicated page, in a category page or any other location from blocks. 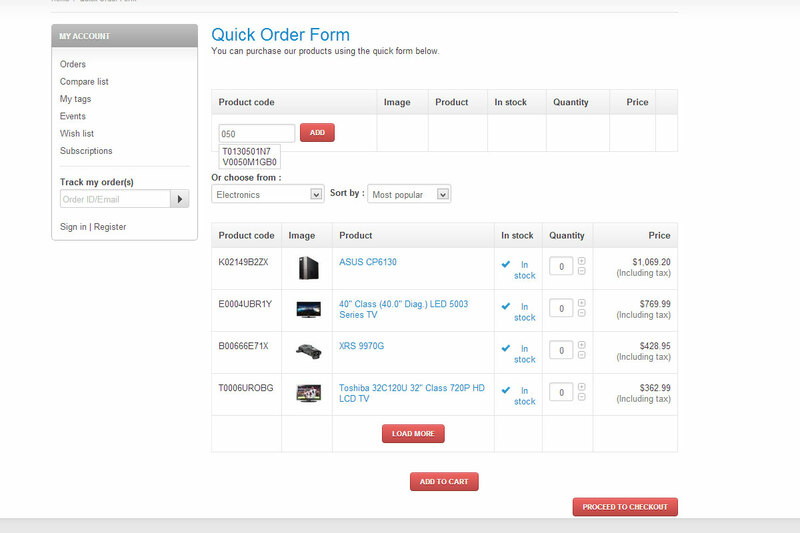 Ability to limit the number of products displayed by default.